15 Shipyard Road, Bedford (MLS® 201807730): Only steps from the waters edge with wonderful views of the harbour, this 3 storey 3+1 bedroom home boasts over 3700 square feet of living space. Flooded with natural light throughout this exquisite home has the perfect layout for those wanting a separate nanny or in-law suite. Laminate & tile/slate flooring, heat pumps for efficient heating and cooling, fireplaces for those cool winter nights, along with a unique floor plan, this home will surely catch your eye. Upgrades over the last few years include 3 heat pumps, shingles on pitched roof and roof above entrance, many windows, 3 exterior doors with transoms, deck, patio & walkway, water heater and flooring. 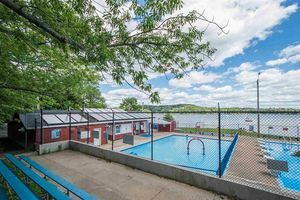 Conveniently located close to public boat launch, Bedford Basin Yacht Club and close to all the amenities Bedford has to offer. Call the listing agent today to view!